Posted by Tantumblogo in Basics, catachesis, different religion, disaster, Ecumenism, episcopate, foolishness, General Catholic, Papa, scandals, secularism, Society, the struggle for the Church. Someone at the Vatican complained over Louie Verricchio’s video parody of Pope Francis’ parody of a Catholic Pope in his January prayer intentions. They claim it violated copyright. So, Vimeo pulled the video. But guess what, Vatican, the internet is forever and once something is uploaded others can copy it and you can never get rid of it. Perhaps you are concerned that Louie’s fisk of this atrocious indifferentist video was just a little bit too effective? At any rate, the video is also on Youtube and I highly recommend those with accounts to make copies for themselves. Oh, and BTW, Eponymous Flower has the goods on the priest who appeared in that prayer intention video. His presence was not accidental, he is a longtime collaborator of Bergoglio, used to be his spokesman, and is, surprise!, what you might call an ecumaniac himself. Go figure. Next, Eponymous Flower also quotes an Austrian bishop blaspheming, saying it took even God Incarnate some time to reach the same advanced level of diversity that the bishop obviously assigns to himself. Can you say making god in your own image? Must be so very convenient! Note that: he had to learn other’s approach to salvation, because His wasn’t all that great and needed a bit of a tuneup. You cannot make this stuff up. These guys are so overconfident now that they have their man in office they are really showing what they are: bonehead modernists with hardly a shred of faith or even common sense. Remember, modernists believe that WE actually “create” God by our “longing” for Him and our own collective sense of the supernatural, so to someone who believes such rubbish, ascribing ignorance and a need to learn to the omnipotent, omniscient Creator is no big thing. In anticipation of President Barack Obama’s last State of the Union Address on Tuesday night, Rev. Franklin Graham said he could already reveal the condition of our nation – it is broken, morally, spiritually, politically, and racially. However, it must be said that protestantism formed the bedrock for the creation of this nation on erroneous grounds (separation of church and state, informing an agnostic view of governance, refusal to seat Christ as the ultimate ruler and guide for this nation) and for the many moral and economic disorders afflicting the world over the past several centuries. Protestant denial of authority and embrace of nascent moral relativism (tolerating divorce, for instance, from the start) paved the way for exactly where we are today, and will always have to answer before God for the shattering of Christendom. But even a stopped clock, and all that. Sad to say, there are a lot of devout protestants who are more faithful, and in many respects, more Catholic, than the vast majority of Catholics today. I pray they come to find the light of the whole truth of Jesus Christ through His Church, but with this pontificate all but declaring conversion is wrong and protestants should stay right where they’re at, doing so is becoming increasingly difficult. That’s another disastrous legacy shaping up from this pontificate, the further diminution of the Church’s already moribund evangelization efforts and a lowering of an anemic rate of conversions. I think Mitchell Hadley nailed it when the term “Mephisto” was applied to the Pope Francis character in his book. You’ll figure out what I mean if you buy the book! Posted by Tantumblogo in Basics, error, It's all about the $$$, non squitur, silliness, Society, technology. Unless they are legislated out of existence by leftists, fossil fuels will still be the world’s primary energy source 100, even 200 years from now. As we saw in the period 2005-15, as prices go up, new sources come on line to keep increase supply and lower price. Eventually, a new stasis is reached. 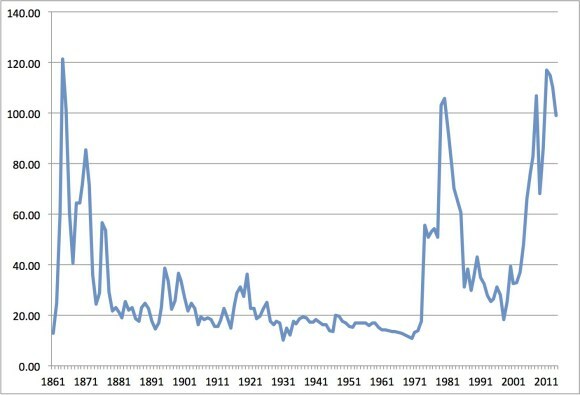 Historically, crude oil has averaged about $20 per barrel in today’s dollars, at least it did until disordered economic practices and scarifying in the media led to panic-driven price increases. Yes, Saudi Arabia is playing a long game to get the price back up to the $50+ dollar range by running all the shale frackers out of business, but if the price does go to that level again, new players will exploit that massive resource yet again. Apparently, Saudi doesn’t want the US to be able to takeover their role as the world’s number one producer and exporter, which was rapidly happening before they glutted the market. If that means $20 per barrel oil, so be it. It hurts portions of the US economically (apparently, thousands of rigs are now idled in Texas since the price has plummeted), but overall, lower energy costs have a hugely positive impact on the overall economy, since energy cost is virtually a VAT that affects all sectors from raw material production, end product, and consumer. My dad worked in the oil industry in a quite influential role (he used to fly to DC at one point almost weekly to meet with high-power attorneys and lobbyists and testified before Congress numerous times) for decades. He started in a refinery in the 50s and worked through to the early 00s. He’s seen booms and busts. He doesn’t think we’re going to run out of oil any time soon, and he’s seen so much technological development over the past 60 years or so that he is convinced that oil and natural gas will continue to be the primary energy source for many, many decades to come. Prices may eventually go up, but there is really nothing else available that can match the high energy content, massive scalability, relatively cheap availability, and overall minimal environmental impact as fossil fuels. Hopefully we won’t fool enough to throw all that away over a leftist fever dream concerning gerbal worming. Books and articles written by geologists, environmentalists, and others regularly announce a new era of increasing oil scarcity…….. In other words, oil is falling back to its historic, long-term inflation adjusted price. Here’s the inflation-adjusted price chart I generated last night from last year’s BP Statistical Survey of World Energy, which only takes the price up through the end of 2014, and therefore doesn’t accurately depict the price drop of the last year. But use your imagination, and you can see how we’ve reverted to the mean. I’m sure there will be more price cycles in the future, but there’s reason to think that OPEC won’t be able to squeeze $100 oil again in the future, for the simple reason that the technology has evolved to the point that the rest of the world can bring new supply on quickly and very profitably if the price (i.e., demand) spikes. If you compare the post-war price of oil with the overall performance of the American economy, you can see that price of oil is one of the best predictors of an economic boom, whereas high oil prices correlate very strongly with recession, inflation, stagflation, etc, and sudden spikes correlate with the onset of recession. Thus, while low oil prices will surely hurt the economies of some locales and states, overall, low prices can be expected to generally lead to much improved economic performance. OTOH, the world economy is presently mired in the greatest amount of debt that has ever been seen. There are numerous bubbles ready to burst (housing, personal debt, college, national debt, etc), so who knows how all this will play out. 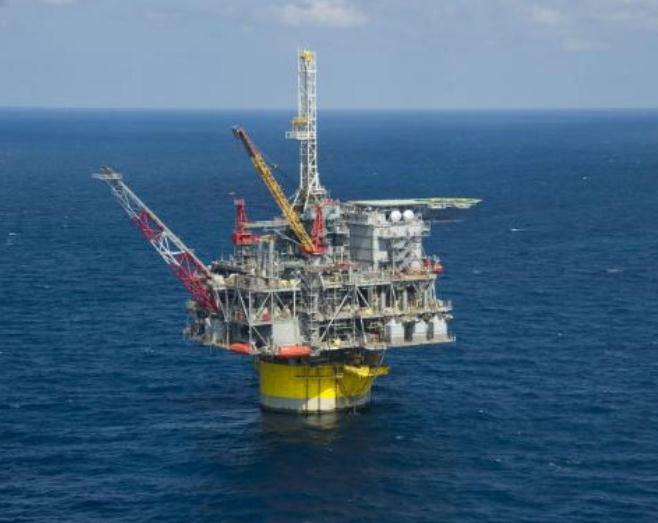 And I bet billion dollar wells like those Shell drilled for the Perdido platform 170 miles off South Padre Island in 10,000 ft of water are going to have a damn hard time paying off. But overall, cheap oil should be very good for the economy. Posted by Tantumblogo in abdication of duty, Basics, different religion, disaster, episcopate, family, General Catholic, horror, Papa, Revolution, Sacraments, scandals, secularism, self-serving, sexual depravity, Society, the struggle for the Church, unbelievable BS. Early last fall, Pope Francis issued a motu proprio substantially revising the Church’s law regarding the issuance of annulments. One of the most controversial provisions was a new “quickie” route to annulment, requiring bishops to decide decrees of nullity within 45 days of application. Given how busy our bishops like to ask, it seems such a short period would lead to the most cursory of reviews, at best, and simply an annulment factory, at worst. And I think that little slip there at the end might be entirely revealing, that Francis has fully bought into the idea of divorce as a real and valid thing (remember his admiration for protestant thinking), and thus sees marriage as something transient that can fail, and be replaced/repeated, perhaps several times. But, thank God, Cardinal Maradiaga has said that Pope Francis would never permit pseudo-sodo-marriage, as being something a bridge too far. As with all progressive promises, however, certainly this one comes with an expiration date. It’s too far, for now. For this generation of modernists. Probably not for the next, though. Posted by Tantumblogo in Admin, silliness. …..if they so wish. And vice versa. It’s in Ephesians, there. Somewhere. Read it again. You’ll find it. 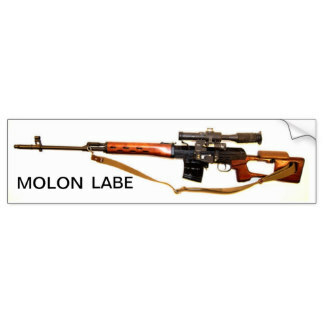 Pretty sure it’s just about a commandment when it comes to Russian guns. 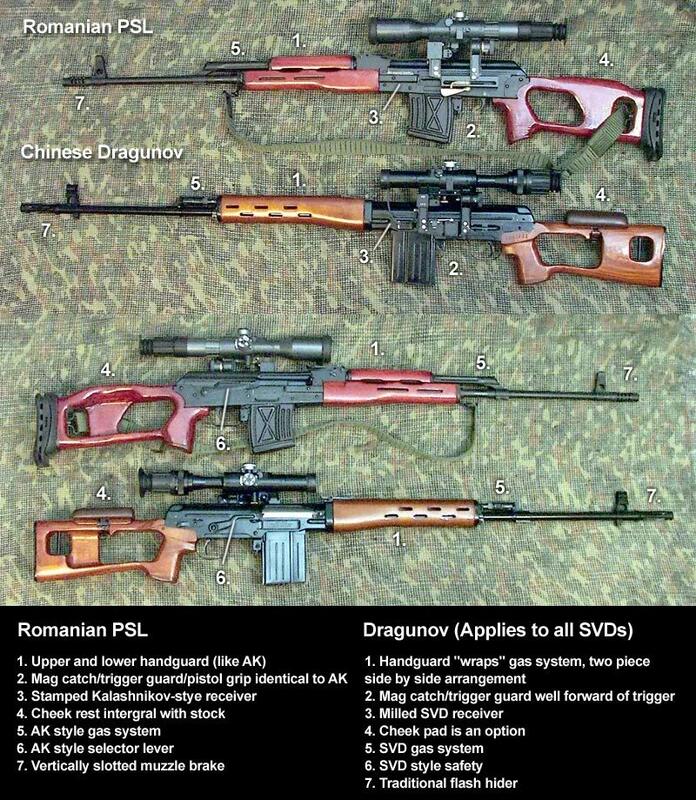 Ooohh I’d love a Dragunov/SVD/Romak/PSL. 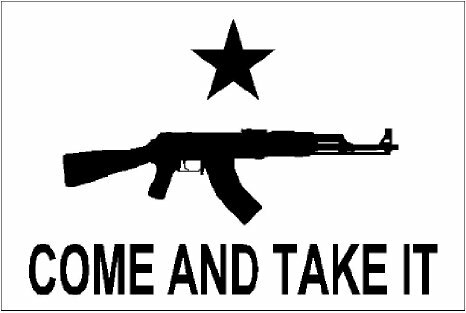 7.62×54. Just about like a .30-06. And that PSO-1 sight is pretty slick. Posted by Tantumblogo in Basics, catachesis, different religion, episcopate, error, foolishness, General Catholic, horror, Liturgy, Revolution, scandals, secularism, self-serving, the struggle for the Church. One book I read over my long break is one that is probably known to many readers but one which I had not read before. This is The Liturgical Time Bombs of Vatican II by Michael Davies. I’m not sure how much of this book I’ll eventually excerpt, but I did want to give a brief rundown of the problematic, our even outrageous, articles of the Constitution on Sacred Liturgy, Sacrosanctum Concilium. These include articles 1, 4, 5, 7, 11, 21, 23, 34, 37, 38, 40, 50, and 62. Each of these contain statements that were either so poorly worded as to be open to abuse (which is exactly what their creators intended), or which openly called for such radical notions that it is incredible that the Council Fathers passed them. But, then again, maybe those bishops weren’t the paragons of orthodoxy they are sometimes made out to be, since they all eagerly implemented the most radical interpretations of Vatican II in the years following the Council, while steadfastly opposing and even persecuting those who supported more orthodox notions. A particular example problematic articles that are linked to one another concerns articles 4, 21 and 50. These have to do with what one might call permanent liturgical revolution: the continued modification, even remaking, of the Mass as years go by. That was plainly the intent of the prime architect of the liturgical revolution – Anibale Bugnini – and it was only his being revealed to Paul VI to be a freemason that resulted in his dismissal and at least the temporary slow down of that revolution. It is said that the Sacred Liturgy must be adapted to times and circumstances which have changed. Here also we ought to look at the consequences. For customs, even the very face of society, change fast and will change even faster. What seems agreeable to the wishes of the multitude today will appear incongruous after thirty or fifty years. [Just like bongo masses look idiotic today, and all those photos of hippy dippy “masses” from the late 60s and 70s looked as asinine as could be even a handful of years later] We must conclude then that after thirty or fifty years all, or almost all, of the liturgy would have to be changed again. [Again, the goal was permanent liturgical revolution, until virtually nothing sacred remained] This seems to me to be logical according to the premises….but hardly fitting for the Sacred Liturgy, hardly useful for the dignity of the Church, hardly safe for the integrity and unity of the Faith, hardly favoring the unity of discipline………..
……Thomas Cranmer himself could have written this passage as the basis for his own “reform” of the Catholic liturgy – i.e., his creation of the Anglican prayer service. There is not one point here that the apostate Archbishop of Canterbury did not claim to be implementing. An Anglican observer at VII, Bernard Pawley, praised the manner in which the liturgical reform following VII not only corresponded with, but has even surpassed, the reform of Thomas Cranmer. There is a very close correspondence between the prayers which Cranmer felt had been added to the Mass “with little advantage”(almost invariably prayers which made Catholic teaching explicit) and those which the members of the Consilium, which implemented the norms of VII (with the help of protestant advisers), also decreed had been added “with little advantage.”……. Article 21 of the CSL, together with such articles as 1, 23, 50, and 62, have served as a mandate for the supreme goal of the liturgical revolutionaries – that of a permanently evolving liturgy. In September 1968 the bulletin of the Archdiocese of Paris…..called for a permenant revolution in these words: “It is no longer possible, in a period when the world is developing so rapidly, [notice the modernist, progressive conceit: these times are so unique (and better) than previous ones, they require unique responses] to consider rites as definitively fixed once and for all. They need to be regularly revised.” This is precisely the consequence with Bishop Staffa had warned at Vatican II would be inevitable. Post is already long, so I won’t add much in conclusion. I’d say based on the above, whether there was a deliberate plan to work liturgical revolution is pretty much QED at this point. I’d just add, that the reason a liturgical revolution was absolutely vital to the modernist program, the reason why the CSL was pushed through first, was because lex orandi, lex credendi, lex vivendi. The Faith turns around the Liturgy, especially the Mass. Change those, and you can change everything. In order to work a modernist-progressive revolution in the Church, it was vital to gain control of the Liturgy first and have severe changes already underway before the Council was even ended (but in the background, so that a reaction could not form). That was obviously accomplished. Posted by Tantumblogo in abdication of duty, different religion, disaster, Ecumenism, episcopate, error, foolishness, General Catholic, horror, Revolution, scandals, secularism, sickness, Society, the struggle for the Church, unbelievable BS. This “liturgical order” is characterized by the dominance of Protestant material, and the one-sided praise for the Reformation while nothing at all is said about — or taken from — the distinctive elements of Catholic history, theology and heritage. The Reformation and Martin Luther are repeatedly extolled, while the Counter-Reformation and the Popes and Saints of the 16th century are passed over in total silence. May God have mercy on our Church. Have you ever noticed the Orwellian double-thought that seems very prevalent among so many of our institutional leaders today, especially those inured in the so-called ecumenical movement? In certain contexts, they evince fealty to the Church and even extol the virtues of Saints like those I mention above, and then they turn around and literally spit on the memory of those Saints and all they stood for. I really believe some of the ecumaniacs somehow see no contradiction in this, because they hold the modernist belief that faith changes and that while the Saints may have made an appropriate response for their time, the world has changed and we don’t do things like that any more. Another, I think much more accurate explanation would be that these men have simply lost the Faith and care far more for worldly applause than they do the good of souls and the Doctrine of the Faith. Such a strange confluence of events: a highly dubious Year of Mercy, followed by the Quincentenary of the protestant revolution, that also happens to be the 100th anniversary of the apparitions at Fatima. Perhaps less strange, than disconcertingly ominous? I never get into predictions about end times and things like that, but so many Marian apparitions pointed to a time in the Church when the Faith would be rejected even by those in highest authority (or especially by them). 2017 will provide an unprecedented opportunity for just such demonstrations of lack of faith. May God have mercy on our Church, indeed.